Symmetry Health Center, located in Oakland and Alameda CA, now offer cutting edge Power Plate® therapy programs, making our facility one of the only healthcare centers in the United States utilizing this powerful rehabilitation tool as part of its Chiropractic program. The Power Plate® is a vibration platform that creates an accelerated therapy experience, by increasing circulation and Human Growth Hormone and decreasing the stress hormone cortisol. In addition, the Power Plate® has the ability to increase flexibility and decrease pain, by creating a relaxation response in the musculature. Originating with the cosmonauts, the Power Plate® was designed to help counteract the effects of gravity on the skeleton, a side effect of space travel. The technology later became available in the fitness and healthcare world due to the powerful ability of the plate to increase bone density. Because the plate has a powerful impact on neurology and neuromuscular re-education, we utilize the platform in most of our treatment protocols for maximum benefit to the patient. We use the machine for stretching, functional movement, CBP Mirror Image® Posture Exercises, and recovery. Symmetry Health Center also offers group exercise in its Alameda location under its sister company Symmetry Yoga. This cutting edge studio combines Power Plate® fitness classes and Yoga in its membership options and class pass offerings. The 25 minute Power Plate classes are lead by certified personal trainers and other movement experts from the Bay Area. 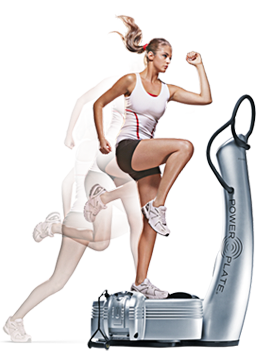 Power Plate® machines use the principles of Acceleration Training™ to stimulate the body’s natural response to vibration. These vibrations transmit waves of energy throughout the body, activating muscle contractions between 25 and 50 times per second, enhancing overall performance in sessions as short as 15-30 minutes a day, 3 times a week. Acceleration Training with Power Plate® machines creates instability in the human body, as with each vibration the body is forced to perform reflexive muscle actions, multiple times per second. Furthermore, these contractions must work in multiple dimensions as the Power Plate® machines actually oscillate in all three planes, exactly as the human body is designed to do. The net result is an incredible improvement in force production, or strength and power. The Power Plate® can be used for numerous applications from rehabilitation of injuries and post-surgical rehabilitation to improving strength, endurance and weight loss. A 23% reduction in cellulite, 16% improvement in vertical jump and a 350% increase in natural human growth hormone-(hGh) are only a few of the incredible changes the Power Plate® can initiate. Motion signals in the body block pain signals, and pain decreases with movement. Exercise and the Power Plate® help strengthen the body and enable the healing process. Great posture begins with a strong core and from a strong core comes an overall strengthened and balanced musculoskeletal system. Nothing will improve these muscles like the Power Plate®. Recent studies have shown that Acceleration Training offers a 57%improvement in weight loss when compared to conventional exercise and diet alone! The Power Plate® can be used for numerous applications from rehabilitation of injuries and post surgical rehabilitation to improving strength, endurance and weight loss. A 23% reduction in cellulite, 16% improvement in vertical jump and a 350% increase in natural human growth hormone-(hGh) are only a few of the incredible changes the Power Plate® can initiate. Motion signals in the body block pain signals, and pain decreases with movement. Exercise and the Power Plate® help strengthen the body and enable the healing process. Great posture begins with a strong core and from a strong core comes an overall strengthened and balanced musculoskeletal system. Nothing will improve these muscles like the Power Plate®. Symmetry is the second healthcare facility in the US to offer TRX® combined with Power Plate® Acceleration Training. This combination delivers a total body workout for men and women of all fitness levels. Regardless of who you are if you want to perform and look your best, the TRX®/Power Plate® combination is the perfect tool for you. 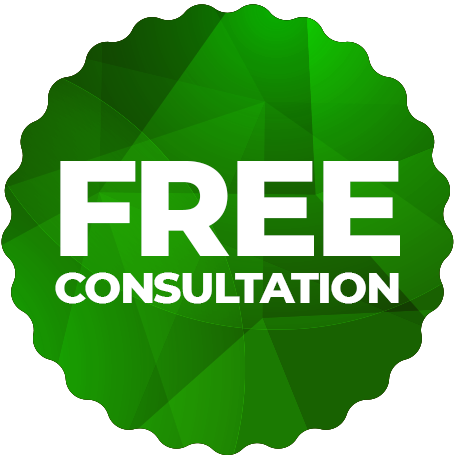 If you want an express workout that can burn fat and cellulite, increase bone density and make you stronger, call or e-mail us today for a no charge consultation to see if you are a candidate for this state of the art fitness class! Power Plate® Training Builds Bone Journal of Bone and Mineral Research (Vol. 19 (3), 2004) Sabine Verschueren, Machteld Roelants, Christophe Delecluse, Stephan Swinnen, Dirk Vanderschueren & Steven Boonen, Katholieke Universiteit, Leuven, Belgium. Power Plate® Training Increases Strength and Muscle Mass in Older Men Journal of Gerontology: Medical Sciences 2007, Vol. 62A, No. 6, p. 630-635. An Bogaerts, Christophe Delecluse, Albreactch L. Claessens, Walter Coudyzer, Steven Boonen and Sabine M. P. Verschueren. Power Plate® Training Proves Effective for the ElderlyJournal of the American Geriatrics Society (June 2004). Machteld Roelants, Sabine Verscheuren and Christophe Delecluse, Katholieke Universiteit, Leuven Belgium. The Effects of Power Plate® Training on Fall Prevention in the ElderlyGait and Posture (no. 26, PP 309-316, 2007). An Bogaerts, Sabine Verschueren, Christophe Delecluse, Albrecht L. Claessens, Steven Boonen. Katholieke Universiteit, Leuven Belgium. Power Plate® Training Useful After Anterior Cruciate Ligament ReconstructionThe British Journal of Sports and Medicine, online, 8. Jan. 2008. Azar Moezy, Gholamreza Olyaie, Mohammadreza Hadian, Mohammad Razi and Soghrat Faghihzadeh, Tehran University of Medical Sciences, Iran.